Discover Montreal from different perspectives! A unique activity perfect for an island! 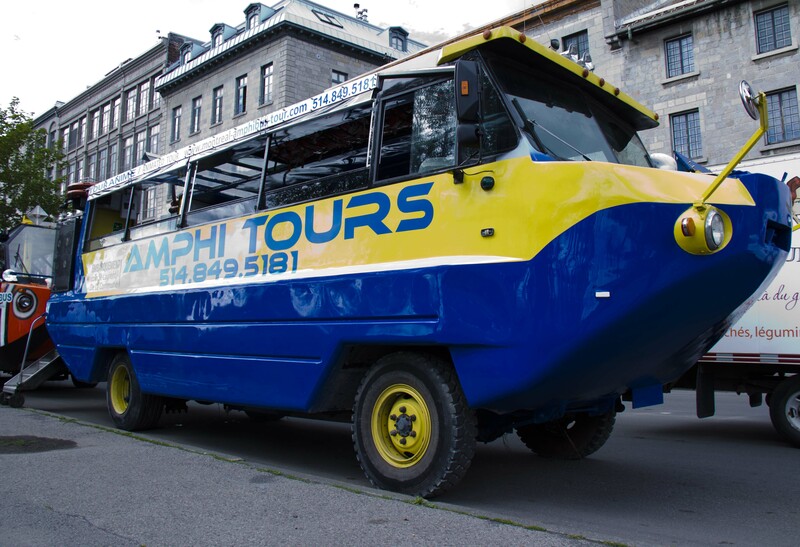 The amphi-bus used to be a military vehicle before it was transformed into a popular tourist attraction that allow guided tours on land and in the water. 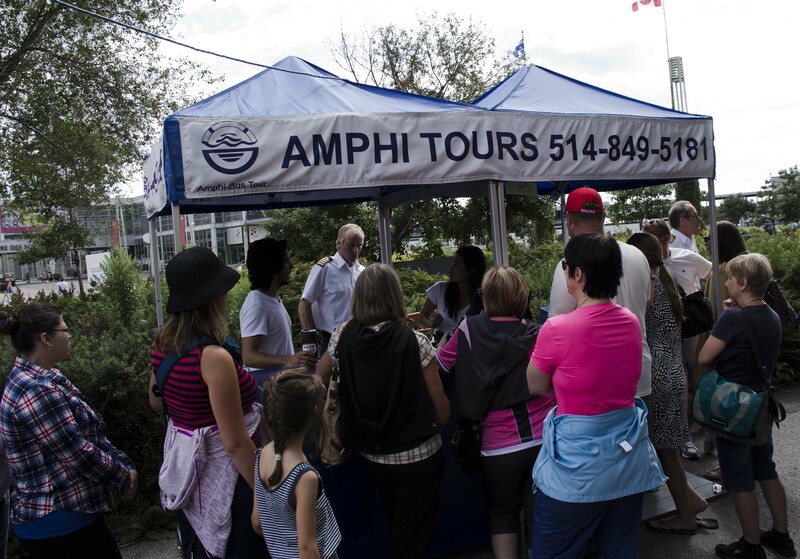 This excursion will lead you through Old Montreal, the Notre Dame Basillic and the Bonsecours Market before entering the waters of the St-Laurent for a different point of view. The amphi-bus is also a not-so well kept secret when it comes to enjoy a fireworks night. Do like thousands before and give it a try! Low Season: From May 1st to June 21 st. And from September 3 rd. 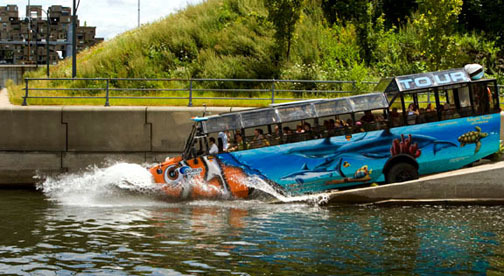 To October 31 st.
Departure at Noon,2:00 p.m.,4:00 p.m. and 6:00 p.m. Departures every 90 Minutes from 10:00 a.m. to 8:00 p.m.
Methods of payment : Visa, Mastercard, cash, Interac.